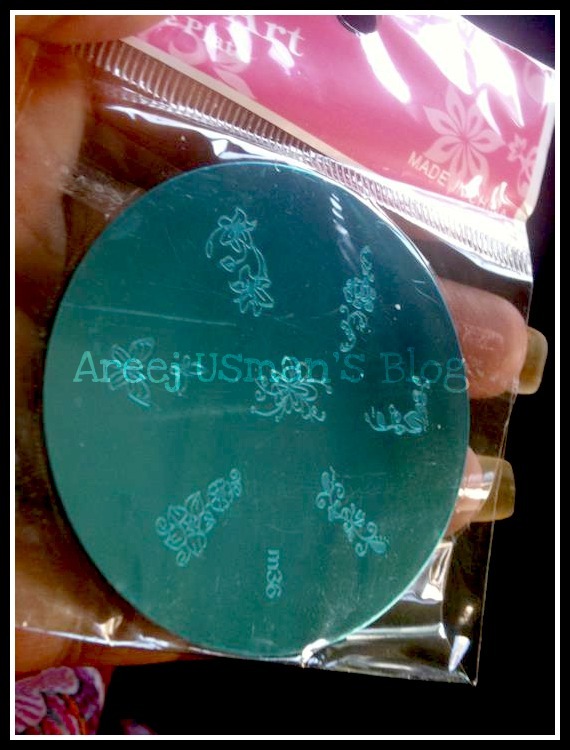 How have you been?Well this is a post that has been pending for a long time now.Yes its the nail art stamping plate by Born Pretty Store.As this was the first time I laid my hands on a nail art stamper and a plate I wanted some time for myself to get used to the product and how to do something presentable with it.Ok so today I am sharing my review of this nail art stamping plate & my nail art ! Born Pretty is specialized in providing nail art, nail polish, nail care, eyeliner, eyelashes, false nail, acrylic nail, french manicure, gel nails, pedicure etc. You will always find great stuff on relatively low prices & loads of deals are always going on on their website that offer interesting stuff. I ll share my over all experience of trial & error with you.The main thing when you want to try nail art is to have a clear table infront of you with some important stuff like nail polish remover,a wipe so that you dont have to use 100’s of cotton balls,stamping plate,stamper & scraper along with the base coat & the nail color you are using for the stamper.I tried various different nail polished for the plate but ended up understanding that always use a nail polish that is really thick .And I mean really thick ,it will do the trick for you.Ok as we have a lot of varieties available in Pakistan,I had some old nail polishes from Medore that come really cheap in our market.I found out that they were the best to use for stamping because after some time they turn really thick.The nail art that I am sharing today is done with Medora French Manicure White. Ok so now getting to how to use the plate. Its not like you will try it for the first time & end up creating something marvellous but it requires a lot of patience and time to learn the tricks of how to create a good looking nail art.After a bit of practicing you will be able to do it more quickly and neatly. ~First of all paint your nails with the base coat that you have chosen.I used OPAL by Picture Polish here.I applied a first coat & then a second and let it dry completely before moving on to the next step. 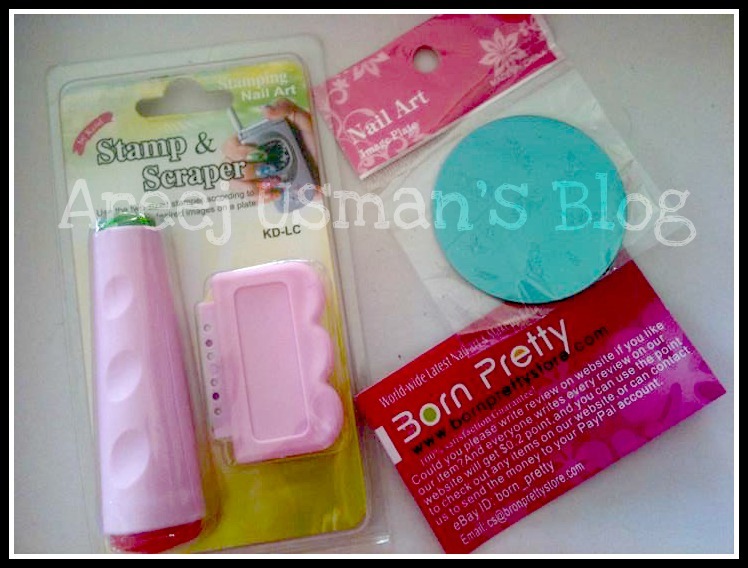 ~Secondly pick up the nail color for the stamping process.Dip the brush into the color and you will be able to see some thick polish on the brush.Take your stamping plate & fill the color onto the design that you want to print.As soon as your color takes space in the design hold your scraper at an upright 90 degree angle and scrap any other polish of the plate. ~Next take your stamper ,hold it straight & upright too and quickly press hard onto the plate. ~Next roll on the stamp image from one side of the nail to the other without moving it up or down but only from one side of the nail to the other.You also have to keep in mind how you want the design to be copied on your nail.Otherwise you will end up creating different looks on different nails! You will always need to clean the plate with the nail polish remover before doing the next nail if you want clear designs. The plate I got has some beautiful flowery designs but I noted that some of them were more easy to work on than the others.The “others” didnt pick up all the image actually. 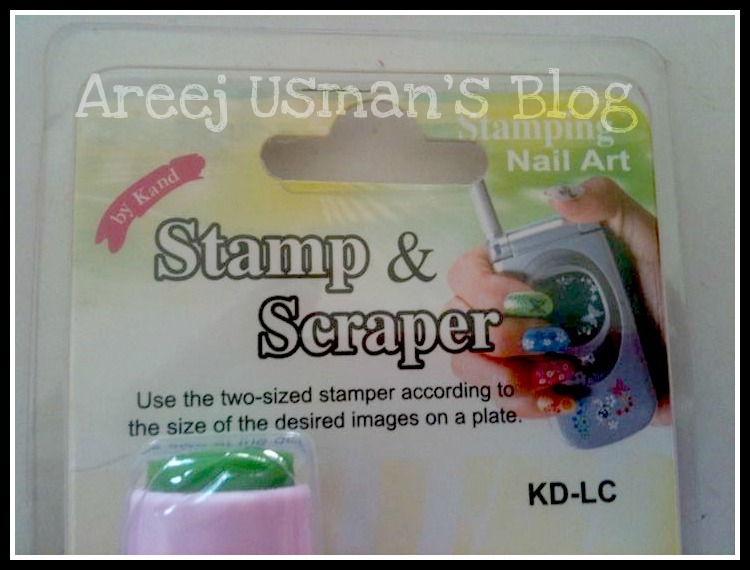 My stamper is also two sided but I mostly use the smaller side as the images are no bigger than that! For more details & orders you can visit Born Pretty .You can also find them on Facebook. 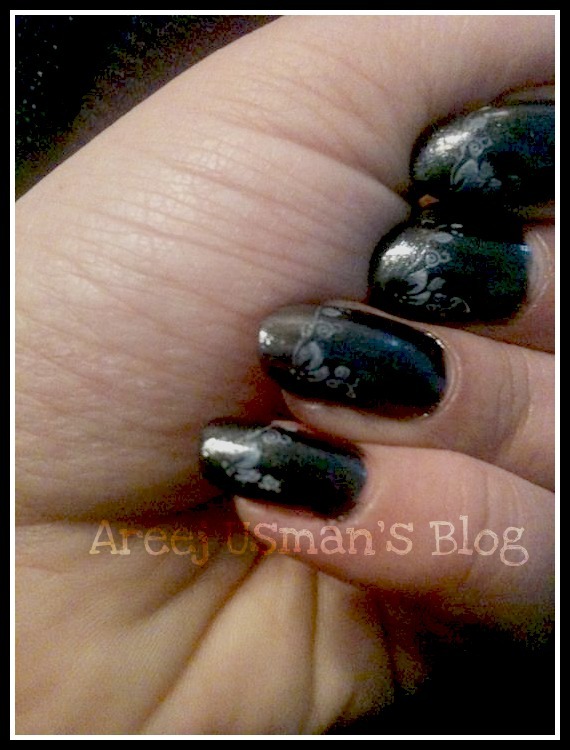 Have you tried nail art with stamping plates.Please share any tips & tricks that you learnt with me. Do they accept debit visa card? I want to place an order but not sure how….. Can u tell me how u did it and wt postage method u chose?